Acer announced at CES 2019 about its new Chromebook with a thin-bezel design and is said to be the first device that will have AMD chips. 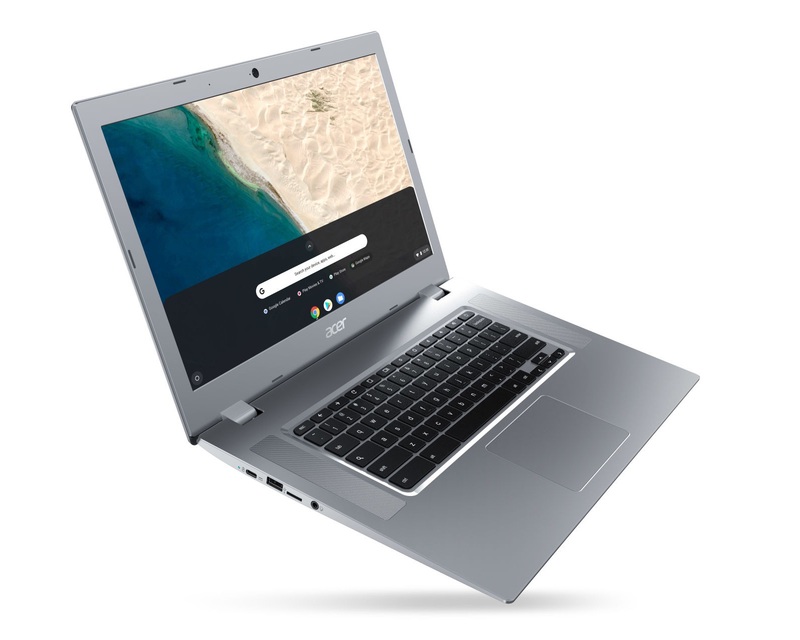 The new Acer Chromebook 315 has a 15.6 inch and resolution of 1366 x 768 with Acer ComfyView, 1920×1080 with Acer ComfyView IPS, or 1920×1080 with Acer CineCrystal high-brightness IPS Touch Optional. The dimension has 14.98in x 10.09in x 0.79in with 1.8kg. The storage of the new laptop has 4GB up to 8GB Dual-Channel DDR4 of RAM with 32GB up to 64GB of ROM. The APU includes AMD A6-9220C with 1.8-2.7 GHz, 1MB L2 cache, 6-W TDP, and Radeon R5 graphics, and AMD A4-9120C with 1.6-2.4 GHz, 1MB L2 cache, 6-W TDP, and Radeon R4 graphics. The Li-Ion battery capacity has 54Wh that lasts up to 10 hou+rs and can be charged with USB Type-C charger. Acer confirmed that the Chromebook 315 will be available in February with a starting price of $279.99.